The real question is whether PCO, Treasury Board, and, ultimately, the PMO are complicit in ramrodding inadequate and regressive measures upon veterans? Or are they merely negligent in perpetuating a system that rewards style over substance? OTTAWA—What the Liberals give, bureaucrats can take away. On Oct. 1, Liberal campaign promises to improve the lives of veterans begin to take effect. All that flashy political and bureaucratic rhetoric, however, has a dark underbelly. These changes claim to “greatly improve income support to disabled veterans.” The banner revision increases income replacement for injured soldiers from 75 per cent to 90 per cent of military salary while removing the two per cent cap on annual increases. This was not the 100 per cent recommended in 2009 by Veterans Affairs Canada’s (VAC) own advisory groups, but it is a long overdue improvement. The first glitch: those most in need will have their salary pegged to that of a private instead of a higher-ranking corporal. 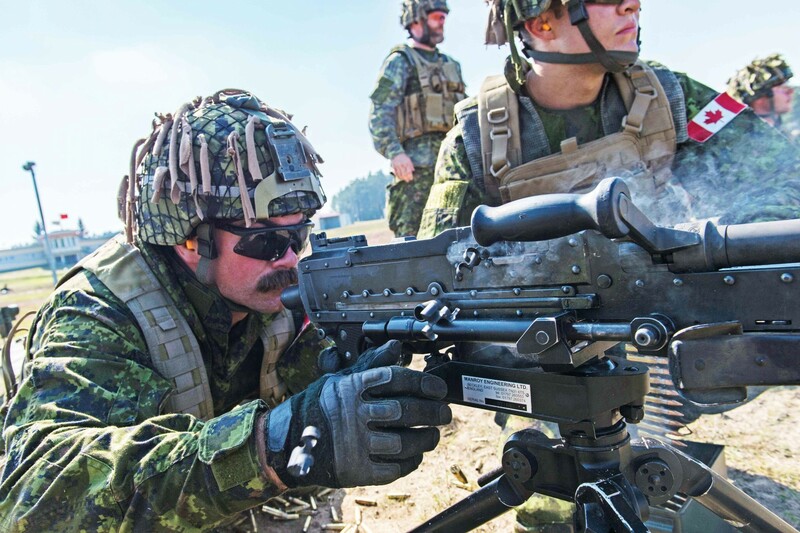 The result: the lowest paid incapacitated veterans will see their income rise just five per cent from $42,426 annually, or 75 per cent of a corporal’s salary, to $44,496, or 90 per cent of a senior private’s salary. A disabled officer who served eight years as a major will have his or her income raised from $84,636 to $101,563, a 20 per cent increase. How is effectively demoting those most marginalized from corporal to a private in any way treating injured veterans “with great honour and great dignity”? Highly inflated but ultimately chokingly empty rhetoric is too often veterans’ compensation for their sacrifice. For the permanently disabled who can have no other career, military rank is everything. Symbolically, taking that away decimates dignity and self-esteem. Government will superficially change the name of “permanent impairment allowance” to “career impact allowance.” The VAC will now take into account the “diminished earnings capacity” of the injured veteran. However, the paltry raise for those most in need merely perpetuates the indignity of “diminished earnings capacity.” The result is counterproductive, having one program essentially at odds with another. VAC claims its programs address need. Does a disabled major need $16,000 more than the corporal needs a shameful $2,000 increase? For example, a mid-level captain released in 1996 with the cap removed will still make 30 per cent less than the same rank released in 2016. This is far from the political twaddle of dignity and honour, and the bureaucratic bombast of fairness. Covertly inserted in these new regulations is a most regressive measure that will diminish the compensation of injured veterans for decades to come. Previously, the death benefit and the lump sum for pain and suffering increased the greater of CPI or a basket of public service salaries. In the new regulations, bureaucrats inserted a Trojan horse limiting annual increases to CPI rounded to the next 0.1 per cent while omitting comparisons with public service salaries. In four of the past 11 years, VAC increased benefits to keep pace with public service salaries instead of using CPI. The 2006 increase alone was five per cent above CPI. Why the underhanded backsliding? VAC bureaucrats conveniently failed to mention the public service salary comparison in the gazetted regulations. Yet in brazen audacity bureaucrats falsely claim that this change was not only “contained in Budget 2016,” but that advisory groups and veteran stakeholders were consulted on this and other changes in the regulations. There is no evidence whatsoever that this deceitful revision was discussed in any venue. The Treasury Board, the Privy Council Office, and regulatory policy require first and foremost that “Canadians are consulted” and can “participate in developing or modifying regulations.” Consultations must be “open and meaningful … at all stages of the regulatory process.” Senior bureaucrats have consistently controlled the process so as to exclude truly “meaningful” consultation. One-way briefings on how wonderful the bureaucracy and the governing party are or summits and advisory groups with disconcerting guidelines established by high-handed bureaucrats fail all measures of meaningful consultation. That the vast majority of those veterans and families affected by the changes are excluded bunks any claims of openness and participation. This process may be meaningful for senior bureaucrats and a minister who do not wish to truly engage with, and be changed by, veterans impacted by such programs. The real question is whether the Privy Council Office, Treasury Board, and ultimately the Prime Minister’s Office are complicit in ramrodding inadequate and regressive measures upon some of Canada’s most marginalized? Or are they merely negligent in perpetuating a system that rewards style over substance and meanness over compassion?